Back when South China Sea was a backwater area for the western colonizers, pirates plowed its waves in search of ships and towns they could maraud and plunder. The notorious Chinese pirate, Limahong, became a sort of folk hero in Southeast Asia for having eluded the British Navy for many years until he and his dastardly buccaneers sailing a fleet of junks decided to attack Manila, which was then under Spanish rule. Although they failed to take over the city, the pirates remained in one part of the country’s main island for almost two years before eluding the Spaniards by digging a small river and escaping at night. Limahong was never caught and continued to bedevil the British authorities for years. People may have a penchant for watching and admiring the exploits of pirates; however, when we realize how much damage and violence they commit, we awaken to the painful stabs of reality –especially when we are the victims ourselves. And this is the case of the new pirates wreaking havoc in Asia at present – drug counterfeiters. These elements ply their trade by dumping their fake drugs through the pharmaceutical chains and have amassed a significant number of customers, endangering the legitimate drug industry as well as the health of millions of people. Under U.S. law, counterfeit drugs are those “being those sold using a product name exclusive of authorization”. Counterfeit drugs can involve either fake “generic products” or imitating brand names, such that the original brand or name is intentionally mislabeled or new ones are made to appear like the original products. Moreover, fake drugs can also include products “lacking or (having) inadequate amount of active ingredient, with the incorrect active ingredient, or with false packaging”. The extent of the plague of drug piracy is difficult to determine, particularly in the developing nations where legal and economic controls are less stringent. World Health Organization recognizes this dilemma and works hard at coordinating with its constituencies to minimize or eliminate the effect this problem has on the general health of the world’s population. The Peterson Group joins in this fight against fake drugs. It has estimated that the “global sales of fake drugs (adds up) to $75 billion annually”. That is a staggering figure, considering that in a city, for instance, that has about 10 million residents, every person could be spending $75 annually if that city had only 1% share of that global figure. And that is pretty much what every individual spends on vitamins or other common medications on a daily basis -- 20 cents on the average. That is roughly the price of one multi-vitamin tablet that every ordinary person can afford to buy to provide minimum maintenance for a healthy body. And if the chances of any person getting a fake drug at the counter is 7 out of 10, then the chances of that person keeping a healthy body is greatly reduced. 1. That a majority of people in Asia and in many parts of the world are not getting the right medication they need (not to mention the right kind of food that they eat). As in many instances of crime, corruption is at the root’s end. The Peterson Group, a non-profit organization, helps to make people and governments aware of this creeping worldwide problem. Operating in Asia (particularly Hong Kong, Indonesia, Jakarta and Malaysia), The Peterson Group is strategically located to monitor the flow of this contraband and its effects on the welfare of people for it has committed itself to preventing the illegal drug smugglers in Asia. Africa is perhaps the poorest continent in the world. Stereotypically, the image of Africa implanted on our minds is a wide stretch of land where wild animals and human beings, those wearing bear skins and bearing man-made arrows and piercers, live together. The temperature may be a little humid for urbanized people to take. Families living below international poverty level are the government’s main problem and perhaps, the number of people who are illiterate is beyond any other nation. After all, Africa is known to produce slaves who were treated as animals in the earlier times. This impression may have been a lasting one derived from the stories from our ancestors. Even the pope recognizes how other nations have been victimizing Africa. However, as times are changing and equality has been implemented, people are eventually accepting Africans, their potential and their capabilities. A large part of the continent has shown growth in urbanization in the last couple of years. According to reviews, one third of Africa’s population is currently living in urbanized areas. By 2020, experts expect this to grow to more than half of the citizens. Africa, however, still continuously remains a victim to many other issues despite their potential for growth. One of these hindrances is the proliferation of drug counterfeits in the continent. In a review released by World Health Organization (WHO), fraud drugs do not entirely affect all parts of the world, despite its global nature. It is estimated that fake medicines account to 50% in Sub Saharan Africa but only 1% in developed countries. Perhaps this is also the reason why assistance expected from other countries often fall on deaf ears. The Peterson Group also reports lack of awareness even among government bodies. Headed by pharmaceutical experts from Kuala Lumpur, Malaysia and Jakarta, Indonesia, a seminar on the basics of this illegal practice was conducted in Nigeria last January 12, 2015 but these awareness programs will lay moot and academic if international and national policies are still inadequate or nonexistent. For years, the authorities have applied different kinds of safety and protective measures to obliterate drug counterfeiting in the list of major issues in the world. The worsening proliferation of drug fraudulence has prompted the authorities to aggressively undertake the problem. Dozens of raid operations have already been held across continents just to pin down the group responsible. World Health Organization (WHO), different health ministries and Food and Drug Administrations (FDA) from different countries have already been on the watch along with Non-profit organizations such as the Peterson Group, Impact and others. But their task is far from simple. It is highly difficult to track counterfeiters — they might use several different planes to transit a single consignment. Batches are repackaged into smaller bundles at each stopover to thwart law enforcement agencies. In one case, the drug which was delivered to a customer in Nebraska through the internet was traced to have come from Toronto, Canada which had been moved from Dubai, smuggled from Jakarta, Indonesia and had been manufactured in China. It is even more challenging to spot fakes from real ones. Counterfeiters seem to take extra effort into perfecting their packaging and product. Tiniest details including bar codes are even traced significantly from real ones that it can even pass code scanners. While the battle is getting fiercer and the complaints increasing, specific countermeasures are being taken by the pharmaceutical industry which includes overt features, such as holograms, covert features, such as digital watermarks, and initiatives that track and trace products. Just as suspected, counterfeit drugs are mostly available in black markets. In third world and poor countries, these black markets can be seen on the streets. In Africa and the Middle East, for instance, rows of kiosks show various medicines ranging from erectile dysfunction medicines to drugs claiming cure for cancer. However, the authorities cannot entirely take down street vendors as some of them are not entirely fraudulent. Michael Deats, a former head of enforcement at the MHRA, who now works for the WHO’s department of essential medicines and health products says, “Some pharmaceutical company sales representatives sell their wares in street markets to meet sales targets ‘which adds a certain legitimacy to these street-markets’”. Fraudsters take this chance to merge their own fake products with legitimate ones. Drug counterfeiting is becoming a lucrative business and we can expect that the people behind this illegal practice are much more experienced in tricking the law than we can possibly imagine. The world has fought battles against drug counterfeiting for decades. Different government entities, private institutions, non-profit organizations and civilians continuously hold seminars, workshops and awareness campaigns to promote concrete law enforcement action in the field with the ultimate aim to obliterate drug counterfeiting and place behind bars fraudsters responsible for the increasing mortality rate caused by substandard and dangerous medicines. Health advocate, Marie Pollack of The Peterson Group, an NGO campaigning against drug fraudulence in the Asia Pacific region stated, “Medicines were once trusted to cure people from their maladies. Now, it is being feared”. The increasing adaptation to herbal and alternative medicine shows that people are starting to doubt their confidence. The efficacy of the medicine being brought in the market and presented to people is being questioned. Pollack added, “It is good that people are being cautious of their own choices but if this continues, credibility of scientifically tested medicines which underwent several methods of experimentations to prove its effectiveness would come to waste, not to mention the economic impact in the health sector”. Fortunately, the authorities are never stopping their campaign to arrest the fraudsters behind this cruel illegal practice. With the likes of World Health Organization (WHO), Food and Drug Administration (FDA) and Interpol, other NGOs and local government units having the same cause are supported with 'interventions package' for all stages of an investigation from gathering intelligence, planning and implementing an operation, through to legal issues for cases that are brought to court. Dozens of operations were already held in the last previous years to determine the illegal manufacturers and masterminds of this deadly trade. Interpol, for instance, has launched different actions in different regions of the world. Their flagship operations - Storm (Southeast Asia), Mamba (Eastern Africa) and Pangea (targeting the Internet) – continue to go from strength to strength. Successive raids on licit and illicit markets have shown improved results in terms of seizures, arrests, convictions and the closure of illicit websites. Several other operations are being conducted. In developing countries, WHO has headed countless arrests and ambush procedures. For instances, last year, WHO, TPG and local authorities of Jakarta, seized more than 300 packs of counterfeit Viagra and Cialis in a dilapidated building in Menteng, Indonesia. In Europe, customs officers seized 34 million counterfeit pills in just two months while China has closed down 2,000 websites offering online prescriptions. 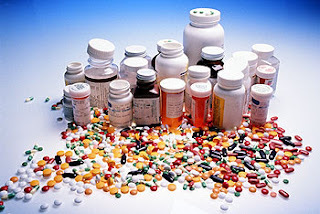 World Health Organization (WHO) recognizes the lack of medicines in many developing and poor countries around the world. Moreover, in as much as there are lack of it, there is also scarcity of financial assistance to provide them with adequate medicine subscriptions since these countries are more prone to health dangers and thus need more ration. They also lack technologies to help them diagnose their own ailments and the hospital or clinic, if there are any, may be miles away from them. WHO is also warning developed countries that if assistance is not extended, ailments which can be malignant can be carried into their borders. In countries for which there is information, the availability of medicines is only one third. From where there are private clinics, the percentage is higher. Fortunately, there is already progress in a number of countries in providing essential medicines to their citizens made possible through partnership with the government, pharmaceutical companies, non-profit organizations and individual entities. The role of pharmaceutical companies is important, ranging from multinational to generic manufacturers to national distributors. Priority and essential medicines are those that respond to the most basic ailment and sickness such as antibiotics and pain killers. They are intended to be available within the context of functioning health system at all times in adequate amounts, in the appropriate dosage forms, with assured quality which the community can afford. It is, however, reviewed that counterfeit medicines are most prevalent in these countries. According to the Peterson Group, an international NGO which campaigns against the proliferation of fraud medicines, the number of counterfeits has been surpassing those of legitimate medicines and is being patronized because of its cheap price despite bearing no active ingredient at all. Black and fly-by-night markets for medicines are rampant in most of the Middle East including India, Pakistan and Turkey as well as in South East Asia especially in Indonesia, Cambodia and Thailand. News of thousands of dollars-worth of counterfeit Tamiflu were seized as they were being imported to Jakarta using the loose borders of Malaysia and East Timor towards Southern Java last September. These fraud operations were driven by the need to have sufficient medicines for those in need. Both WHO, which is mostly concerned on the quality of health care and World Trade Organization (WTO) which is focused mostly on the economic aspect crazily flustered by this illegal lucrative business are extending their efforts to lessen the issue. Drug quality is currently receiving growing international attention. Over the past decade, public awareness has been sharpened with the existence of counterfeit and substandard medicines especially in developing countries where drug regulations remain ineffective. Mass media through television, radio and online have been hyped with thousands of reviews revolving around the topics of fraud medicines, the methods used and strategies being done to take down the people behind it. Just as it gets tiring hearing it, another alarming issue prevailed on the news. Although different types of pharmaceutical products are being involved, the existing data shows that certain anti-infectious agents, particularly anti-microbial medicines, are the most counterfeited products in developing countries. The largest in the list of distributors are Jakarta, Indonesia and Phnom Penh, Cambodia. China still takes the lead on the biggest manufacturer. Although the existence of the issue is acknowledged, the real numbers and the extent of the problem are not well documented. Estimates of global prevalence may range between 1% and 50% globally. 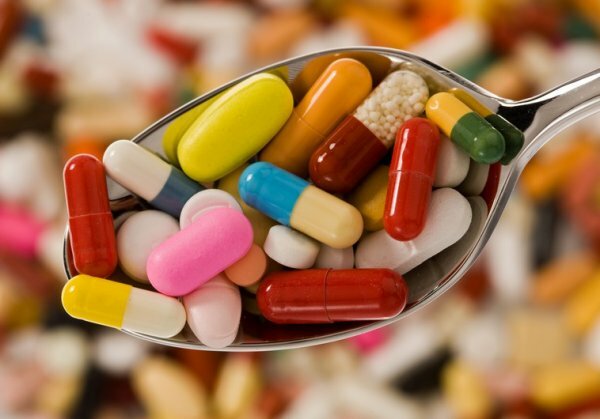 The few existing studies which conduct experiments to determine the quality of drugs circulating different regions and investigations to know the amount of foreign substances in the medicines are headed by either the pharmaceutical companies who rarely share the result of the studies for the protection of their products or by non-profit organizations funded by few private entities and individuals. The Peterson Group, one of the NGOs conducting one of the studies, states that these studies are critical to measure the real issue but with the lack of resources and half-hearted attention given by the government, results are expected to lag behind. It may be too late to solve an issue before another one comes in. Anti-microbial drugs are targeted because of its popularity among the people. It is used to treat infections and almost all ailment can be infected which makes it an even more dangerous drugs. Even as FDA, UN and WHO have already released a warning on the dangers of these medicines especially ‘old’ antibiotics such as penicillin, trimethoprim–sulfamethoxazole and chloramphenicol, are among the favored counterfeited antimicrobials. The poor quality of drugs has been linked to counterfeiting of medicines, chemical instability especially in tropical climates, and poor quality control during manufacture. Many factors contribute to the increased prevalence of substandard and counterfeit medications. Much of the counterfeit drug trade is probably linked to organized crime, corruption, the narcotics trade, the business interests of unscrupulous politicians and unregulated pharmaceutical companies.